Celebrate Harry Potter’s Birthday With Foster Families of Utah! Join us to celebrate Harry Potter’s Birthday July 31st, 2017 at The Shops at South Town. The event is FREE and will be located at the fountain area inside the mall. We will have fun crafts, photo opportunites with Harry Potter Cosplayers, Free drawings for Wizarding Weekend Passes for our 2018 event, Coloring, Prizes, a Magic Show from Utah Valley Magic Academy. 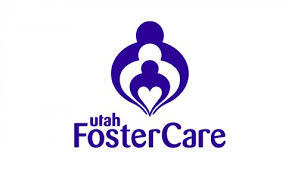 Meet a few of our Utah Charities Foster Families of Utah and Utah Foster Care. Hosted by Val from B98.7. Plus a Wizards on Parade through the mall with all of you Wizards, Muggles and Fantastical creatures (so come dressed up) at 7:30 pm that will lead to the Food Court for FREE cake and a screening of Harry Potter and the Sorcerer’s Stone! All for FREE! Planning is underway for this year’s conference sponsored by Utah’s Division of Child and Family Services and Foster Families of Utah! Mark your calendars for a day of training (up to 8 hours) and inspiration. Breakfast and lunch are included in the registration fee and details will be coming soon. What Is It Like To Be a Foster Parent | a Ryan Hender film from Ryan Hender Films on Vimeo. A huge shout out to Foster Families of Utah’s Laurieann Thorpe for once again personally advocating for an increase in foster parent’s reimbursement rates! Foster parents have not received an increase in reimbursement rates since 2009 and members of the Social Services Appropriations Subcommittee voted in favor of giving Utah’s foster parents a 10% increase in reimbursement rates. This change will be effective July 1, 2017 and applies to families providing Levels 1, 2, and 3 Care through DCFS. –HB 289– Grandparent Visitation Amendments, did NOT pass, due in large part to the number of foster families who contacted their representatives in opposition to the bill. In summary, if this bill would have passed, it would have made it possible for the biological grandparents of children who have been adopted by a relative [after parental rights had been terminated] to file a petition for visitation rights. Some of the concerns foster parents shared regarding this bill were expressed in the previous post. Although a version of HB 289 was vetoed by Governor Herbert last year (2016) and it did not pass again this year as the senate cosponsor withdrew his support, it will most likely be sponsored and heard again next year. HB 289 has been limited to adoptions by family members, but it has the potential to set a precedent for ALL adoptions, so if you have concerns or strong opinions about this bill, be prepared to make your voice heard at next year’s Legislative Session! SB 0085– Because this bill was passed, foster parents will be able to take in a child (or children) who was previously placed in their home even if one’s license is at capacity. Thank you to DCFS’s Tanya Albornoz for advocating for this bill! Common sense and research show the importance of stability in a child’s life and this bill will be of great benefit to children who come back into care by preventing them from being moved to yet another unfamiliar setting. HB 0185– Because of this exemption to a licensing law in 2015, foster parents do not have to have background checks on every person who is left alone with their child for any amount of time (babysitters, neighbors, scout leaders, grandparents, etc.). The Office of Licensing and DCFS have reminded us that when foster parents require care for your children in foster care that is over five hours, that provider of care will need a background check. It is great to network with other foster families who have already been background checked when it comes to babysitting or respite! As always, Foster Families of Utah will keep you updated on any bills affecting foster families and the children in our care and will provide you with information on how to become more involved in advocacy efforts. If you would like to be more involved in advocacy with the legislature, please contact us at fosterfamiliesofutah@gmail.com or 801 252-5395.